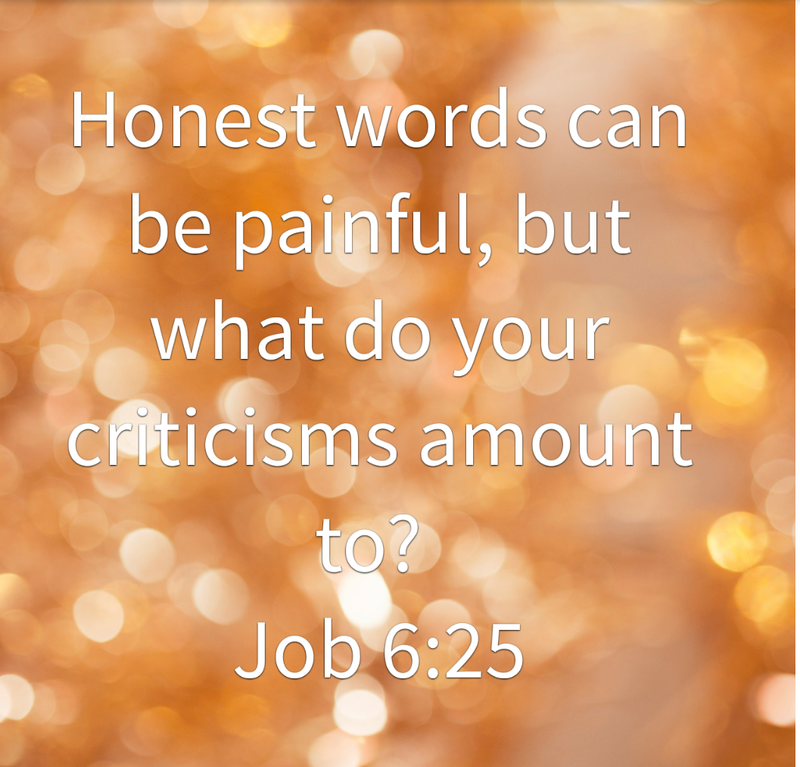 Job 6- When it hurts so bad…. Good evening y’all. Today we are studying Job chapter 6. Job did a lot of complaining in this chapter. He complained about his pain, complained about God and about his friends. At this point, he is hurting so bad that he asks God to take his life. He felt he had nothing else to live for. All of his strength was gone and he just wanted some form of relief from the pain and suffering. His friends that should have been consoling him, are the ones even adding more to his pain. They are accsuing him of having done something wrong hence why God was punishing him. But we know this is not the case and even if he had sinned, this was not the time for them to be saying i told you so…it was time for them to encourage him and help look for ways to make his pain bearable. I pray for as many that are going through one trial or the other, that the God of comfort will comfort and encourage you. That His grace will be sufficient for you and His love will overwhelm you. In Jesus’ Name. Amen. Good evening y’all. Today we are studying Job chapter 3. In todays chapter, it seems Job finally hit rock bottom. He had what i would describe as an emotional melt down. His physical side kicked in. He was starting to feel the pain and the reality of his situation was beginning to dawn on him. Rather than curse God, he decided to curse the day he was born. He sincerly wished he wasnt born and just wanted a way out. In short brother Job was suicidal!!! Yes its the bible and yes! 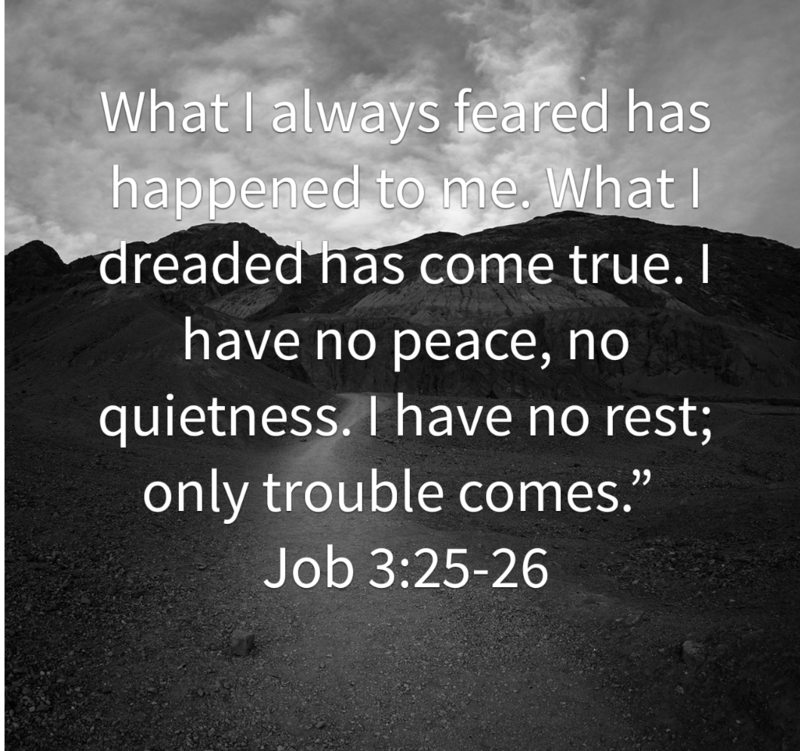 our brother Job who told us in chapter 2 that how can we expect good from God and not expect any evil was feeling suicidal. For as many that may be going through one challenge or the other, remember God’s promise to never leave us nor forsake us. He is always present to help us. Even though in the trial, it might seem as if He has forsaken us but the truth is, He can and will never leave us alone. Keep trusting and believing Him. Hold on to the promises He has given you. I will leave us with a few of my favorites scriptures that have helped me through rough times. “But now, O Jacob, listen to the Lord who created you. O Israel, the one who formed you says, “Do not be afraid, for I have ransomed you. I have called you by name; you are mine. When you go through deep waters, I will be with you. When you walk through the fire of oppression, you will not be burned up; the flames will not consume you. For I am the Lord, your God, the Holy One of Israel, your Savior. I gave Egypt as a ransom for your freedom; I gave Ethiopia and Seba in your place. I pray God will give us the grace to trust Him continually even as we go through the trails of life. I pray we will feel His presence near at all times and will hear His voice clearly speaking to us. I pray His Spirit will encourage and comfort as many that are going through one trial or the other right now In Jesus’ Name. Amen. Thank you for joining today . Pls feel free to share your thoughts on the chapter.